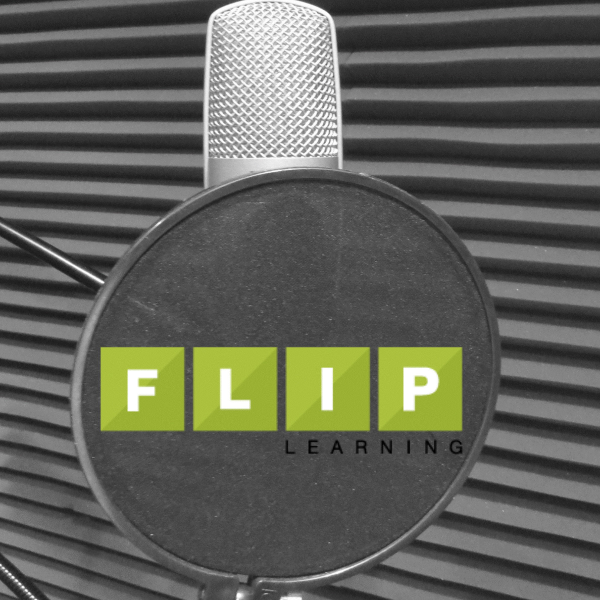 David Walsh is presenting at FlipCon16 in Allen, Texas this July. The conference is the 19th – 21st (pre-conference workshops on the 19th, followed by the two day conference on the 20th and 21st). Come join us! How many people look at the seventh page of their Google search result, scrolling through pages of content to get to the one resource that is going to help them? I sure don’t! Google does two things when it provides a mere list of search results. Primarily, it creates a list that prioritizes certain results over others, possibly pushing the most useful one out of sight. Secondly, it displays websites in linear format that is visually drab and disengaging. Now, imagine that I have buried important information for my students to find in the seventh page of my own classes online library! 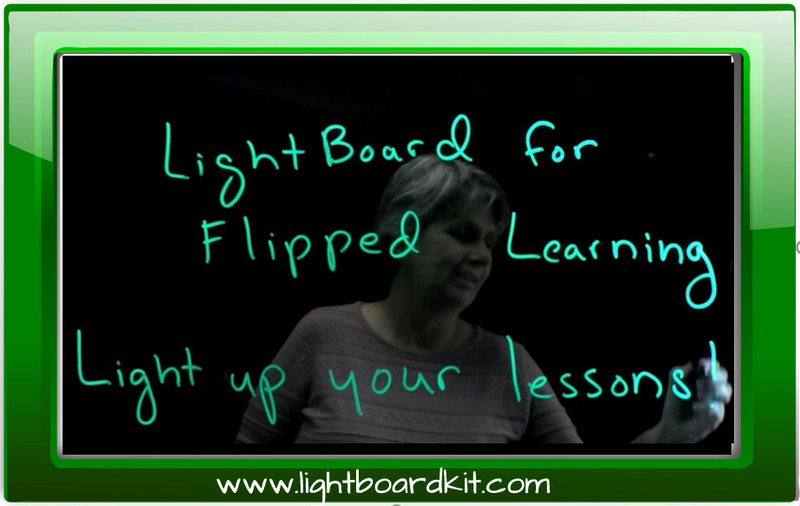 In a flipped setting, where teachers are organizing their content for students to use any time, it is important for that material to be presented in a way that is as engaging and relevant as possible. 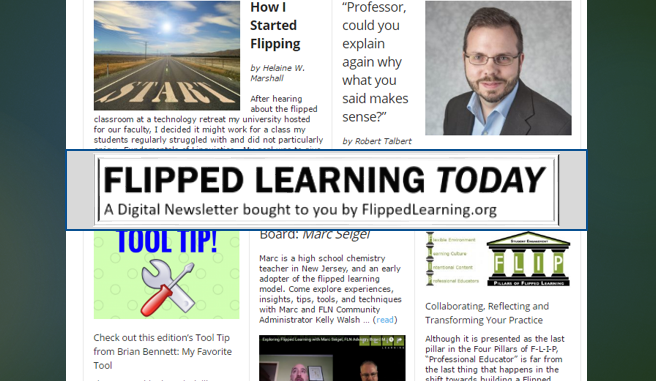 I use Schoology and Google Classroom to organize and curate my flipped lessons, assignments, and all my supplemental material. Both of these tools organize information as a list, forcing my students to scroll through a long list of posts and files to get to the one that they need. It struck me this year that I was still organizing my content linearly, listing files in Schoology or providing posts in Google classroom that follow in much the same way my traditional classroom ran. It showed a stepwise progression through the curriculum and that does not need to happen in a flipped environment. Traditional classes are bound to a linear format because a teacher can only teach one lesson at a time. 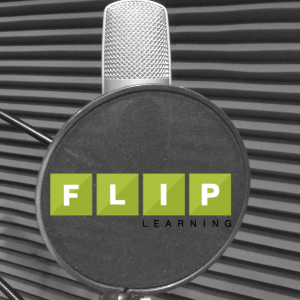 Lessons in a flipped setting are recorded, and because of that, the videos can be watched in any order and don’t need to follow any particular prescribed order as long as the integrity of the learning goals are maintained. Traditional linearity didn’t make any sense to me, and once I saw it, I couldn’t unsee it. Why was I making my students follow a stepwise progression through the content in an order that I think makes the most sense? Yes, I get it, I have insight and the experience to know that you have to learn certain things before others in Chemistry. But I have changed the order in which I have taught my class several times, moving or eliminating lessons, sections, units or even several units. It’s a continual process for me to update and make my lectures make more sense to kids. As such, students should not be bound by a linear format that seems to be an artifact of traditional teaching and should have the freedom to choose which lessons come in which order. Why should learning be presented in such a linear way? An Idea is Born About the same time I was contemplating all this “next level” organization, I was told about InstaGrok, an internet search tool. 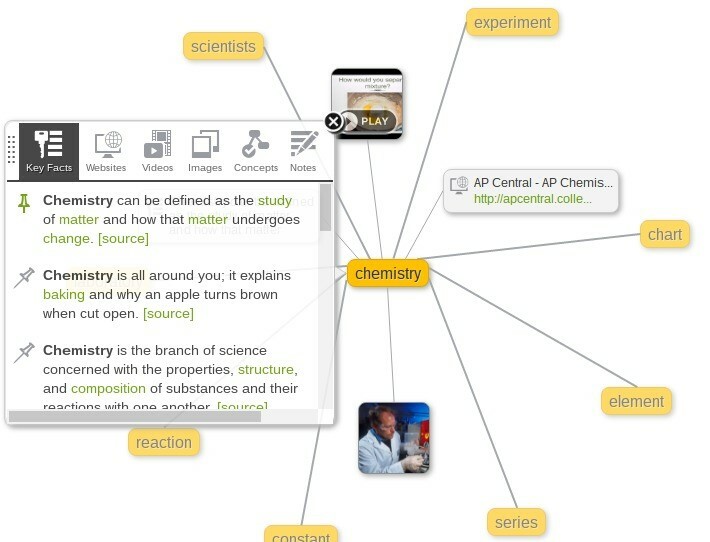 With InstaGrok, the search results come up as a mind map, not listing results or putting any one result over another. And it gives the search term in the middle with all the search result categories around it. Isn’t this awesome?! A new way to search the internet that isn’t a long list of results. Around the same time, I came across Google Drawings, the proverbial stepchild of Google Apps for Education. Though not used a ton by the general teaching population, it has all the benefits of every other Google App. Couple Drawings with Lisa Highfill’s concept of hyperdocs, and an idea was born. Using this format, I can provide my students with a mind map of the unit, and they can then choose their own way through the material without the content listed some predetermined, and often times arbitrary, order. All the materials are right in front of the student and they can see the connections that one topic has with the others. I did some research (read: I googled “mind map”) and found this website and this student’s blog among others which support the notion of using mind maps. The image at the top of this post shows my original idea for the first unit in my Honors Chemistry class. Each part of the map would link to a lesson, a video, or assignment that relates to the overall learning goal. Instead of a list of tasks, as in Schoology or Google Classroom, the students now have a fully interactive map that shows how all the concepts are related to each other. They could, if they wanted, move the clickable bubbles around and arrange them however they feel will help them understand the material. Even more nonlinearity I eventually decided that some classes really lend themselves to this style of flipped content organization. I teach an Astronomy class that is quickly becoming more of a student-led research project and less of a traditional lecture-based class. This type of nonlinear online lesson arrangement is a much more effective format for students because now students make choices based more on their own learning. This format helps students draw connections and conclusions from the material, regardless of the order that they do the lessons. They see the learning goal on the mind map, and they use the lessons to achieve the goal. It helps me help my students make more informed decisions about their research project. Then I realized – Wow! – this type of organization could be used for all sorts of classes in which curriculum is organized by a common theme: history, language arts, foreign language, sciences. For example, 6th grade students learn about river valley civilizations. In a flipped class, we don’t need to start with the most popular of the river valley civilizations and progress to the obscure. We can present all of them and let the students learn about them in any order they want. Students can then make connections using any of the civilizations and not just the few that were at the top of the list. In language arts, students learn about how setting influences a story. 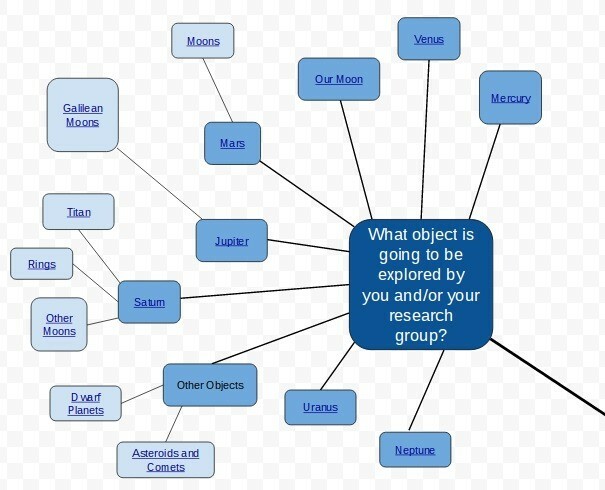 Instead of presenting a list of books and setting and describing them, give the culminating activity as the center of the mind map, and provide all the example as branches off the center and have the students make their own connections that answer the question. 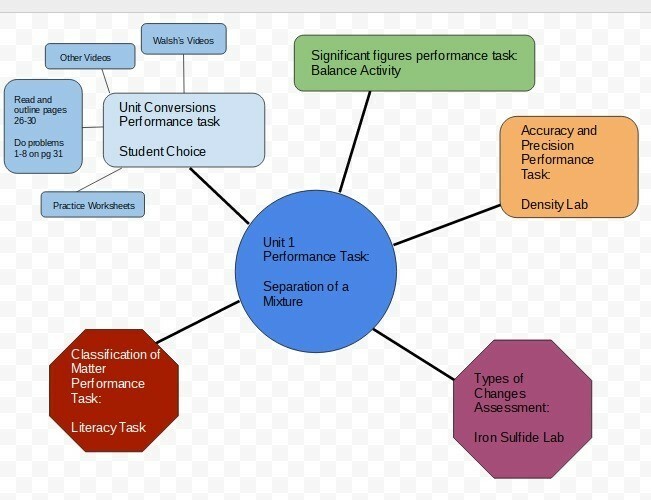 In foreign language, instead of curating lessons about German culture in a linear fashion, have the unit project described in the center and then have the supporting activities and videos branching off the center to encourage students to explore the material in any order and prioritize their own learning. In many ways, technology has fundamentally changed education. 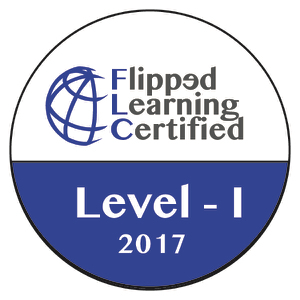 In my session at FlipCon 2016 I am going to provide an interactive session on developing a nonlinear curated library of material. At its pedagogical core, nonlinear curation is a way of providing our students with an improved learning environment for flipped class, because how we present material is just as important as what we present. David Walsh has been teaching high school science for 13 years at Collingswood High School in New Jersey, right outside of Philadelphia. He is also an adjunct professor at Rowan College at Burlington County.